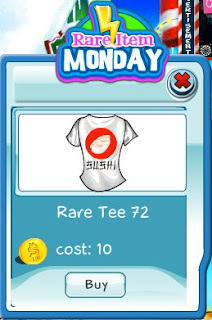 Rare Tee 72 is out now. If you love sushi, this is the tee for you to show everyone in SecretBuilders your fondness of the Japanese delicacy. It's only available today so get it before it's gone!